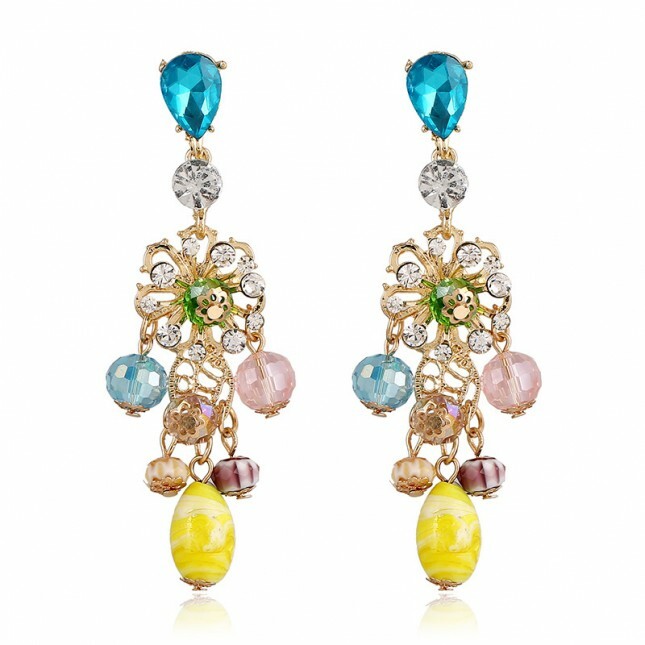 Delight in the unique design of our Charming Blue Sapphire Bead Chandelier Costume Earrings. 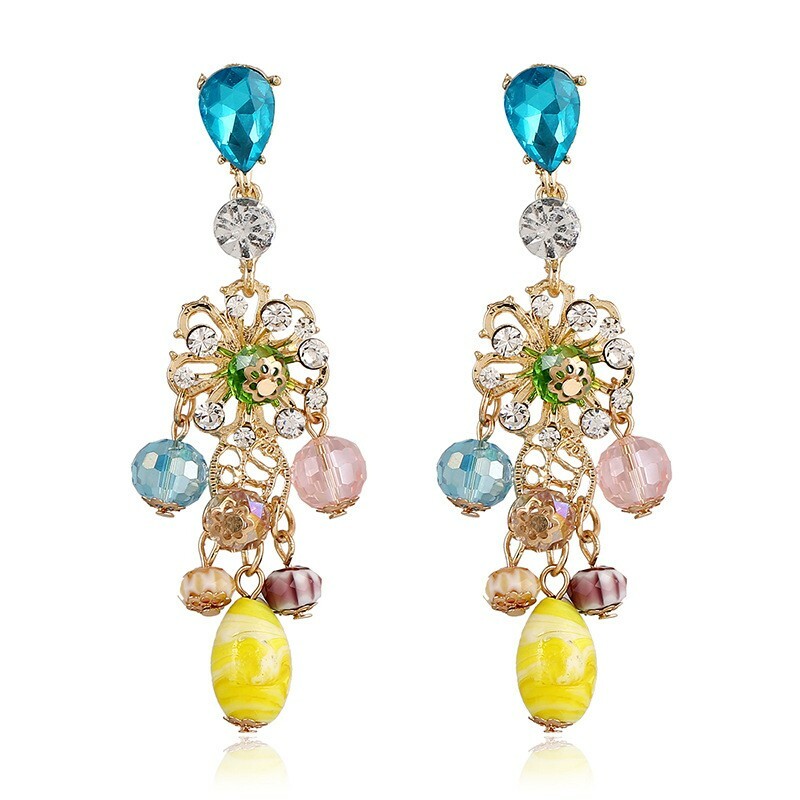 Gleaming cubic zirconia dances in an intricate round pattern on each 2 cm earring for a look that is effortlessly modern. 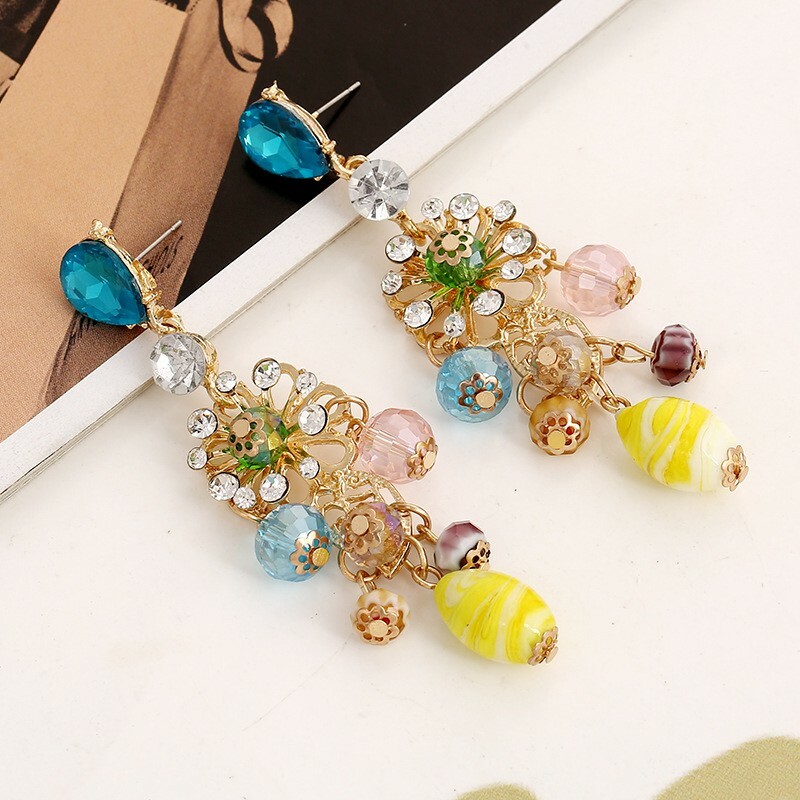 At a lightweight 13.5 grams each, these earrings are large but definitely not cumbersome, so you'll want to wear them to party, dinner or even everydaylife!